In the advertising literature and in what I can glean from the knowledge base is that there is supposed to be "Post Templates" but I cannot find them!!! all I have is templates for about, menu and 3 others... Am I barking up the wrong tree. I am at a loss as to getting my posts set up. When I go into new posts on Wordpress am I supposed to select the "pro" option" or do I post from the standard wp format??? 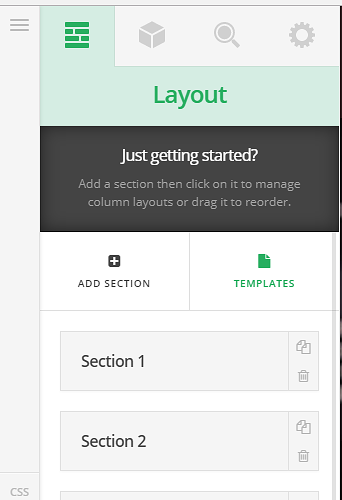 The Post / Page Templates available at the moment are the ones you can find on Pro Builder > Templates. You can create posts using Wp Classic Editor or Cornerstone, it is up to you. do you have a link to pro builder templates ?????? Where do I find them?????? Which leads to my other question which you have not adequately dealt with. If I can use cornertsone HOW DO I USE IT AS EVERYTIME I DO IT TAKES ME TO A WEBPAGE??? CAN YOU POINT ME TO SOME HELP LITERATURE ??? Honestly when I purchased Xthem which by the way is very good , the main critic was lack of help assistance documentation and while the online support is very good ... it takes hours to get a query answered. I would much rather locate the information myself but its not available! Maybe there is a missunderstanding among us. 1- PRO does not offer the Demos like X. so for example Integrity 1, Renew 5, Gym or App Demo and all the others are available just on X not on PRO. There will be soon a new functionlity released for PRO which will cover this, we are almost ready with that, but we cannot provide an ETA for the release. I do agree it can be improved, we had a meeting a few minutes ago and we discussed about it, so expect some improvment from our side regarding the documentation. Thanks appreciated a good explanation . Hey, when does pro release with demo templates?